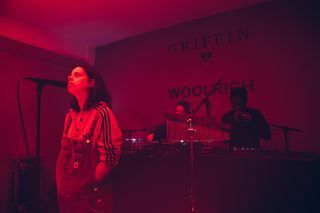 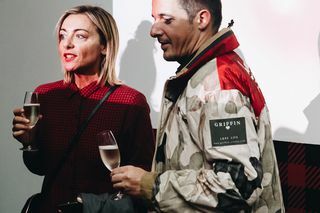 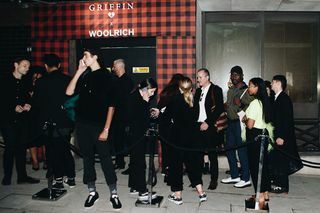 On Friday, September 14, Woolrich launched its first-ever collab with Griffin at London’s iconic 180 The Strand. 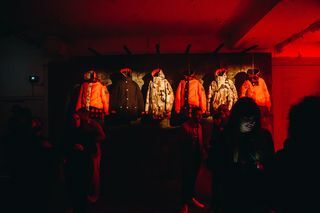 While true fall weather has yet to hit the English capital, that didn’t stop a who’s who of the industry’s finest from stopping by to see the gear for the first time and to test it out in a suitably crafted environment. 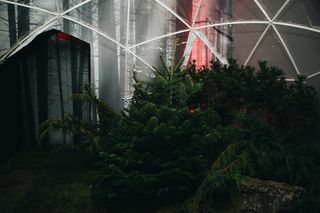 The space was appropriately built out to represent interpretations of earth, wind and water, and from the forest to the arctic. 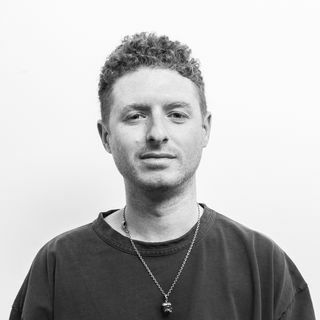 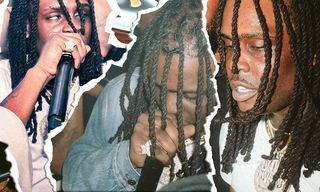 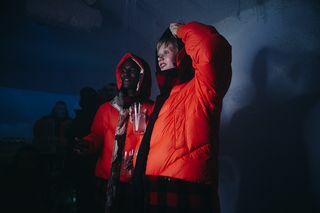 Drinks were provided by Asahi and Ciroc, and live performances were done by Oneman, Tirzah and Fatima, with attendance from illustrious guests such as Novelist, Poppy Ajudha, Fae Williams, Brittany Sky, Roman Kemp, Izzy B. Phillips and Leebo Freeman. 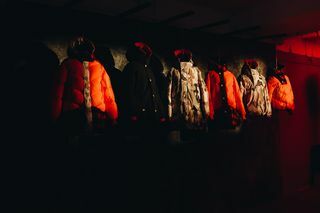 As an homage to the founding year of America’s oldest outerwear brand, the collection is limited to just 1,830 pieces globally. 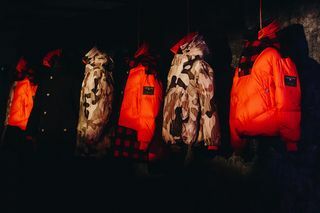 Each jacket is available in two different unisex styles: the Atlantic Parka and Loveland Smock, each featuring Griffin’s signature orange lining and Woolrich’s beloved Buffalo Check. 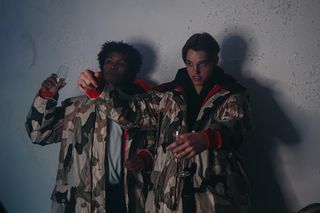 Each piece is waterproof, breathable and features the type of craftsmanship one can expect from two of the world’s leading outerwear labels. 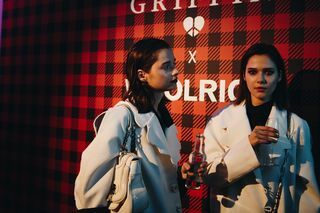 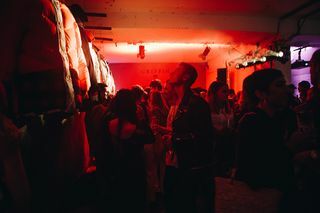 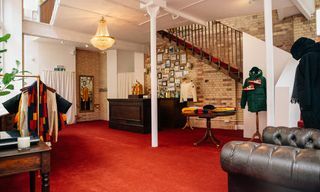 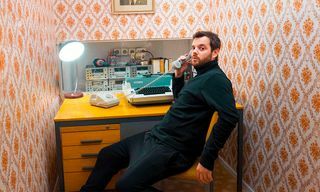 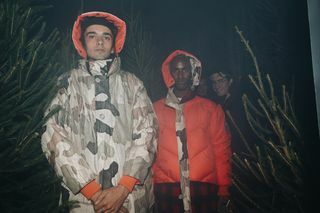 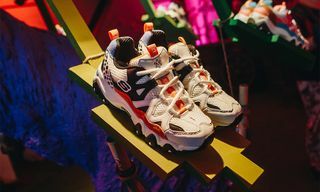 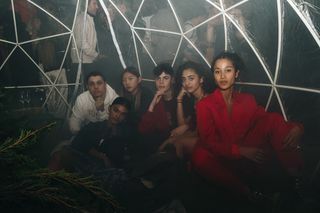 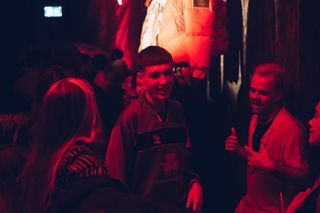 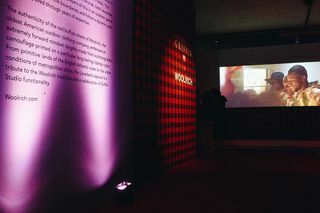 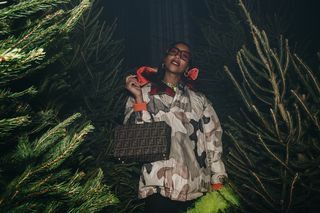 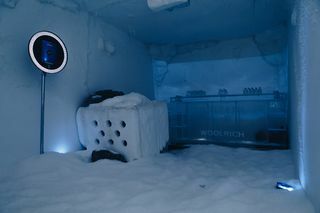 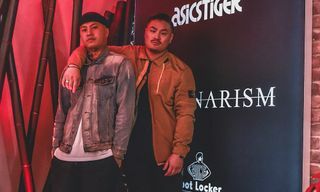 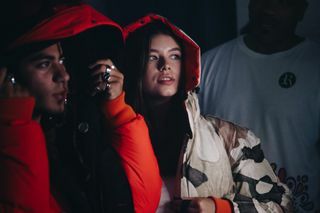 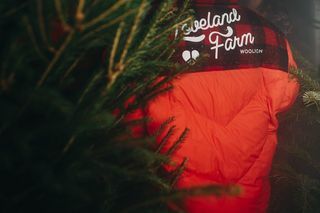 The date marked the launch of the collection in Woolrich stores, woolrich.com and through specialty retailers worldwide. 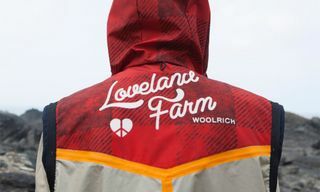 Flip through the gallery above and pick up your favorite piece now directly from Woolrich’s online shop.